Would The Real Christian Ponder Please Stand Up? If at the start of the 2012 season you had asked Vikings fans for their reaction to the squad being 5-3 at the halfway point, excitement would have been the resounding response. And we are not talking just regular ole, the drive-through guy gave me an extra burger excitement, we are talking just noticed my numbers match the Powerball numbers excitement. Considering that was our mind set, as fans, coming into this season, why are we all so disappointed about the team going into this Sunday’s game? Ponder is the rock the team’s success is built on. As he goes, so goes the team. At first glance, one thing jumps out immediately. Seven interceptions. Okay…so it does not hurt that I bolded the number. But, I am not sure you needed the help. It sticks out like Lindsey Lohan in a convent. What is worse, of those 7 INTs, more than half of them occurred in the red zones. INTs in those critical areas of the field sting even more. They either kill your drive or put your defense at a disadvantage. Worse yet, those kind of turnovers also usually result in points on the board for the wrong team. What is probably most infuriating about Ponder’s INTs is that many of them are not bad decisions. The receivers he is targeting are usually open, but his execution (of late) has been less than stellar. And while the surprisingly strong Vikings defense has bailed him out in some of those games, think DET, TEN, and ARI games, the turnovers inside the 20s have killed the Vikings. 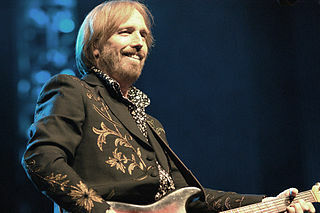 With the Kitties potentially in Tom Petty mode, the Vikes need to lock up a big win at home in two weeks. The schedule is about to get really hard. They have winnable games against the Kitties (who are in Tom Petty mode: “Yeah I am freeeeeeeeeeeeeeee…) and the Seachickens. Win those games and the rest of the season will be an enjoyable discussion about whether or not the Vikings can make the playoffs. Lose, or even split, those games and the rest of season will likely be spent gnashing teeth and wondering how soon the other shoe is going to drop. In today’s NFL, the quarterback’s play is usually the factor that will swing the pendulum one way or the other. In Ponder’s case, which Ponder shows up will be the difference. Now, there could be one saving grace regardless of how these next 8 games turn out: Ponder’s continued maturity. When you stack up last season’s numbers with Ponder’s numbers through the last 4 games, it really has not been as bad as you might think. That is promising. It has not been a true regression. More like a two steps forward and one step back. So, even though the remaining schedule is literally the most difficult in the league, there is room for continued improvement. If Ponder can continue to demonstrate the leadership qualities and solid decision making abilities that he has shown through the first 8 games, even a losing record would not sting so bad. Another strong draft and a few key agent signings (come on down Dwayne Bowe), and the Vikes could be a real contender. But if Ponder regresses back to 2011, all bets are off. Personally, I think the improvement will continue. 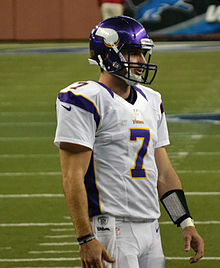 I think the real Christian Ponder will stand up (including this weekend). And Vikings fans are in for a real treat. This entry was posted in Home, Vikes v. Pack and tagged Cardinals, Christian Ponder, Dwayne Bowe, Kitties, Minnesota Vikings, Motor Cit, Motor City Kitties, NFC North, Ponder, Quarterback, Quarterbacl, Seachickens, Titans, Tom Petty, Tom Petty mode, Vikes, Vikings, Vikings quarterback, Vikings schedule. Bookmark the permalink.